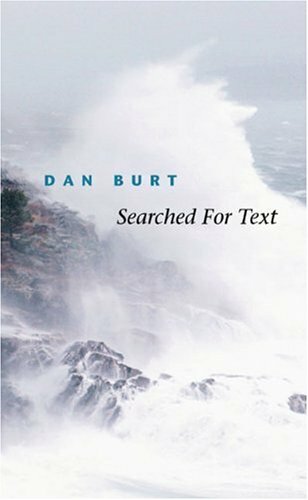 Dan Burt's poems offer the reader a dual perspective on American culture, drawing on the poet's personal experience of being both an insider and an outsider. The son of Jewish immigrants, Burt grew up in the tough environs of South Philadelphia where his father was a butcher and his mother's family were a force in the neighbourhood, living at the edges of the law. Burt left this teeming and sometimes brutal world behind through education - he attended a local Catholic college before reading English at Cambridge University. He then studied law at Yale and practiced law in the United States, United Kingdom and Saudi Arabia, before moving to London in 1994 and becoming a British citizen. Throughout, Burt's formal control remains intact, a tool he uses to probe the values of the "civilised" world. His Archive recording brings out the muscular movement of the poems, and though his work often inhabits a world in dissolution, this inherent energy makes for a rewarding listen. As the poet and critic John Kinsella puts it "In poems and prose that reach deep down into the reservoir of human loss, distress and need, comes hope." His recording was made for The Poetry Archive on 25 January 2012 at the Soundhouse, London, UK and was produced by Richard Carrington.